Get this Amazing Batman Kite for Boys Now And Organize A Memorable Day At The Park With Your Family- For Happy Children & Proud Parents! Are you looking for an alternative present in order to organize more outdoor activities with your little ones and spend more time with them? If your answer is yes, then we have the solution for you! 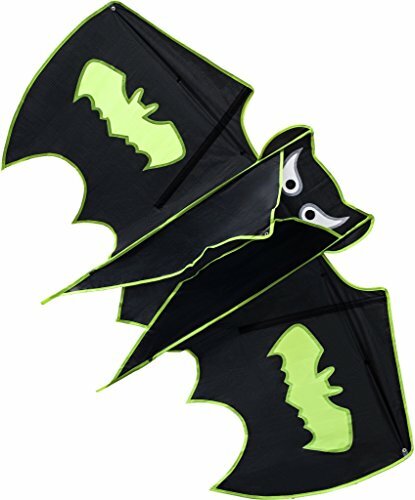 This kite has a batman shape, in order to blow your kids' mind off! Stop buying toys as presents for your children- and live a memorable summer day with your whole family! For happy children and even happier parents! Are you afraid that your kite won't fly and will break off as soon as the wind will start to blow like the previous ones did? This batman style kite is incredibly easy to assemble, launch and fly at the same time! Try this superb flyer- and feel proud of your kite touching the sky! We offer this product at a large size- this kite is built to last! We know that your children have different needs- they don't have the physical strength in order to hold a kite! Now we have the solution for you: a kite designed according to your child's needs! Get it now and make him/ her happy and productive! This Product Is Completely Risk-Free! Hurry Up- We Are Running Out Of Stock! ✅ SUPER EASY TO FLY : it stays up in air without any problems. Your children will hold kite in the air all the time and will have lot of fun and activity with it. Really easy flies at the beaches even in not windy weather. ✅ EASY TO ASSEMBLE : boys, girls and adults takes about 2 minutes to put all parts of this kites for kids under 10 years together (thanks to instruction at the picture). No matter if you are an avid kite flyer or beginner. ✅ DURABLE : The batman kites for adults is well constructed of the best sturdy materials, and is beautiful flying. It is made with strong material - polyester which is lightweight in same time. ✅ PERFECT GIFT : Your kids will flying it multiple times in parks and will have a lot fun! This is really the most exciting kids kites which kids have ever flown in sky. ✅ WARRANTY : Keeping you satisfied is our priority. This is why our product are backed by a 180-days money back guarantee and a product replacement. If you have any questions about this product by NICELY HOME, contact us by completing and submitting the form below. If you are looking for a specif part number, please include it with your message. iBaseToy Huge Rainbow Kite for Kids and Adults with String & 3 Different Tails - Easy Flyer Kite for Outdoor Games Activities, 47" x 23"